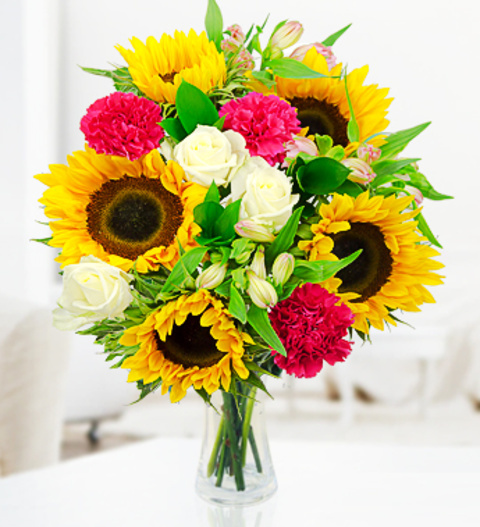 The Summer Oasis is a true gift of Summer sunshine expertly arranged by our talented florists. Each bouquet is skilfully hand tied with British grown sunflowers, sweet avalanche roses, cerise carnations and alstroemeria. The Summer Oasis arrangement is a bouquet that is sure to delight and comes with a FREE box of Belgian chocolates. Chocolates may contain nuts.